Savour the tastes of Italy in your very own home with the Vittoria Panini Grill. 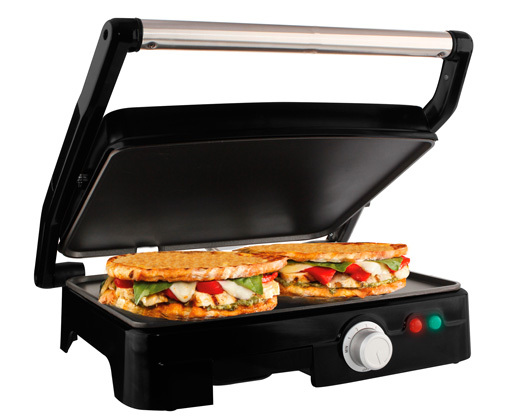 The Mellerware Vittoria panini grill has non-stick flat plates which makes it ideal for grilling. The Vittoria opens to a 180 degree angle giving you double the grilling space. The floating top plate and adjustable temperature control makes the Vittoria easy to use. Cleaning up is also easy with the 2 drip cups and scraper that is included. Power and ready light indicator. Cord-wrap up for easy storage.